So you want to start a niche blog? It was hard; I didn’t know how to blog when I started my niche blog, heck I didn’t even know what a niche blog was when I started. Fast forward to today and I have started two successful niche blogs and had over 9+ million views; I have learnt that some things are vital before you start a niche blog. What is a niche blog? In this post, I reveal everything I have learnt about how to start a niche blog over the past few years. 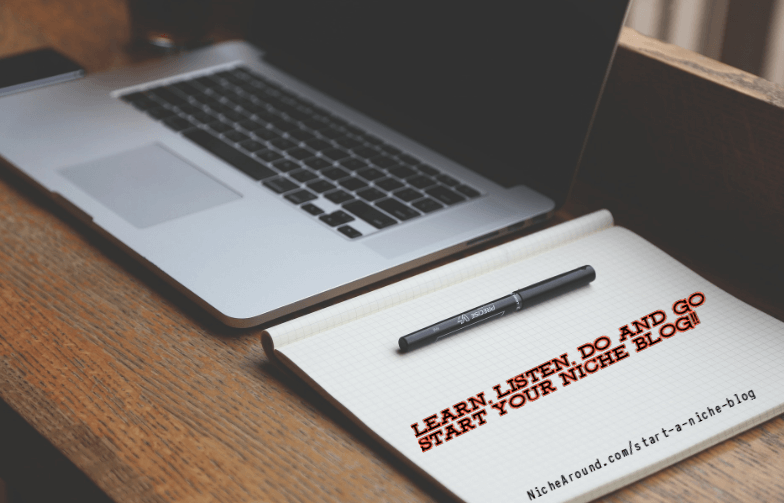 So why even start a niche blog, what is the point? Why shouldn’t I just start a blog about travel, fishing, photography or your favourite topic? Eventually, I will get lots of readers and get rich!! Online marketing is changing, it has been very slowly for the past few years. For example, you look at music back in the 80’s and 90’s there was maybe a handful of the “noticeably famous” bands and music artists. Over time smaller niche genres of music have come out, look at the industry today and it will blow your mind at the amount of niche’s there are. Case in point baby metal…what baby metal? Yea watch this and be like WTF..!?! So it’s safe to say that you want to start a niche blog? The Internet is niching down more and more so every day. Whatever you are passionate about niche down and then niche down again until you have a tiny niche. Once you gain success in your niche, then you can broaden your niche to other topics or start a new idea you have. Because I started my niche blog and spent time building my audience, they responded big time when I published a post completely outside my niche. Wait so can you not give us an example about this? Of course, so I moved to Australia and set up a blog about moving to Australia, not very niche right? I was an Irish person in Australia so I said why don’t I niche down to just write for Irish people in Australia? Irish Around Oz was formed and I spent a good year building my audience writing relevant content for them(AKA me, because I was the audience). It was when I posted this article on the top 10 most powerful passports that I saw the power of my niche blog, withing 48 hours of publishing I had over 800K page views! It certainly had a few celebratory drinks that evening! 100% this was because I had built a loyal following and once I had an audience I could then expand to off topics such as the most powerful passports. There are much more reasons to start a niche blog but this is by far the #1 reason. Okay, Steve, you have convinced me I should start a niche blog but what about these five vital things you are talking about? Glad you asked, they are in no particular order but 100% needed if you want to be successful. The list goes on and on! Now I am not saying you shouldn’t research your niche blog. But ask yourself this, If I am working in a full-time job(which presumably you are) how are you going to stay motivated 6 – 9 months in when you are writing about a random niche such as antique lamps or something. The more passionate you are about what you are writing about, the more it will help you push through the hard times, many times I felt like giving up, but it was because the articles I was writing not only helped me but helped many of the other Irish in Australia that I kept going. So whatever you do before you start your niche blog, please pick a topic you are passionate about. Once you are successful on that, then look at creating a blog that you have researched such as “Antique lamps” or something fun like that. Some people say “don’t put all of your eggs in one basket”, that you should have five sites or 20 niche sites. It is a complete waste of time. You need to have a basket with eggs before you can start diversifying and moving to new businesses. One of the best things I ever did was niche down again and again. There is a whole host of reasons for this. Going back to my niche, I could have created a blog about moving to Australia, quite a big audience but super competitive so I niched down to expats moving to Australia. I thought well if I can just target expats who are on working holiday visas in Australia it will be easier to rank for keywords and build communities. So I niched down again, what about Irish people.. hmm.. No blogs whatsoever on the topic(great!) and lots of Facebook communities for Irish people in Australia. Score!! So for this example, I could have gone further and just focused on Irish people in Perth as a blog, which still might have worked out but I would of limited myself to the broader but smaller niche market. Yes as another example of why you have to niche down and niche down again is my travel blog. So I niched down to create a “Couple travel blog” not too many of those right? Nope, there is 1000’s++ of them! Crazy competitive. What to do now? How can you niche down but remain in the broader niche of travel? Up until only recently we just blogged about couple travel, until recently when the side focus of the niche “Sunsets” became the primary focus. Why don’t we niche down to concentrate on watching sunsets around the world and blog about that? *Problem solved! Now the blog still has a long way to go but by now I hope you are getting a clearer picture of why it is important to niche down and then niche down again. Whatever you are passionate about(point 1) use it and niche down(point 2) to a tiny subsection of that niche but don’t go to small! Okay, awesome so now you have your passionate niched down niche (point 1+2) and you are ready to start a niche blog. What is a blog without an audience? Nothing. My first blog would have gone nowhere without the Facebook communities that I built. If you like fishing in Glasgow, create a Facebook group about Fishing in Glasgow. So wherever your niche is Instagram, Pinterest, Twitter, Periscope, Snapchat(@NicheAround) or wherever they are you need to be there. Remember it takes time to build these communities a lot of time and work but the payoff is immense. You hear the term “You need to write for your audience! !” thrown around everywhere. Example 2, I know what its like to start a niche blog. Both topics that I can comfortably write about, not only do you know exactly what most of the problems are but you know what companies/services you would use. Example 1: I contacted advertisers or joined their affiliate program and overnight started making money on my blog. 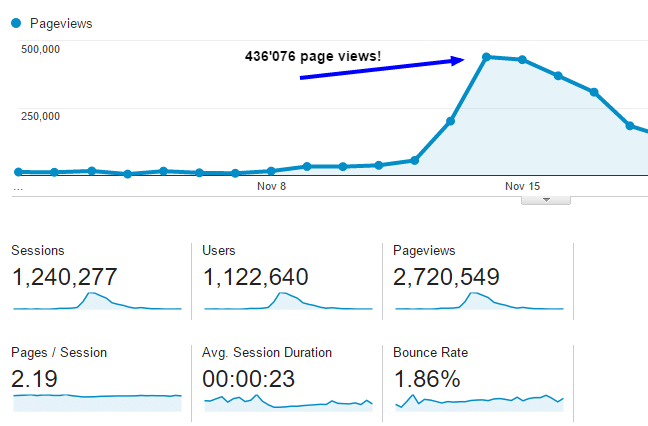 This was after I had started a passionate, niched down, community driven niche blog(point #1,#2,#3). First you will need hosting.. I recommend Bluehost in fact for all Niche Around readers from May 19th @ 11:59 PM (MT) – May 20th @ 11:59 PM (MT you can enjoy hosting for as low as $2.95/mo for 36 months! So click here(Aff link) and start your niche blog. Then you will need an email list, ideally starting off I used mailchimp(because its free for the first 2000 subscribers!) but to really automate your email list I moved to Aweber(aff link). Then you want to make really nice landing pages, I use Leadpages(aff link) which is a bit pricey but well worth it when you can afford it. 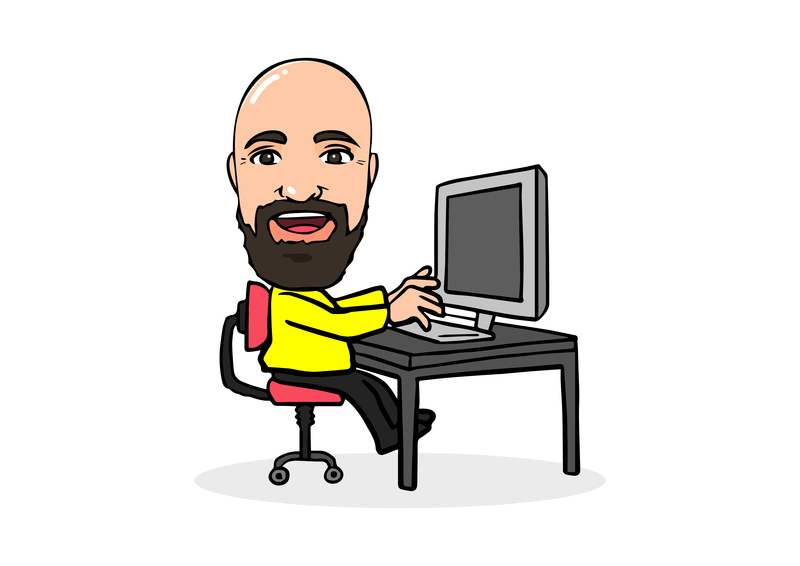 You simply add affiliate links and it is a lot more likely to convert than say writing about Cars and just advertising a nice set of alloys that you don’t know if anyone has even bought or used before…..
To summarise being your audience makes it a lot easier to write, market and sell to your audience. One of the best things I ever did when I quit my job to do this full-time was learning and listening. Listening to podcasts was one of the reasons I am even here writing this to you today. I started listening to 3 – 4 hours a day(mainly because I now had the time) of podcasts, these podcasts had guests who introduced their podcasts and I listened to them. I did what they suggested you should. That is one of the biggest mistakes people make is they don’t DO. You can read all the books, listen to all the podcasts but if you never do you won’t go anywhere. So take action today! As I mentioned, this is going to be episode 1 of my new Niche Around podcast! Be sure to subscribe below to get updates as soon as it goes live. P.S Have you started a niche blog? Comment below! Good luck! :) The best thing you can do is start. Excellent – great “how to” information. Thanks. Great detailed article Steve, for new and seasoned bloggers (who are not getting enough traffic). Good question! I have been blogging since 2013. Been full time blogging since 2014. Had over 10 million visits to my 4 main websites, many failed websites but here I am.